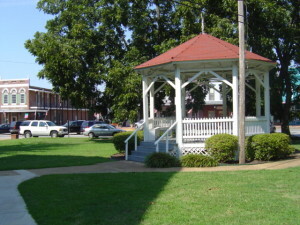 Welcome to the Holly Springs Main Street Chamber web page! We hope you will find our website helpful and user friendly. Please browse around and let us know what you think! On August 1, 2012 the Holly Springs Chamber of Commerce and the Holly Springs Main Street Association merged into the Holly Springs Main Street Chamber. The Boards of both organizations came together to look at the benefits of merging the two organizations. In the end, we decided that by merging the two organizations, we could better service the Holly Springs Community and improve our City. 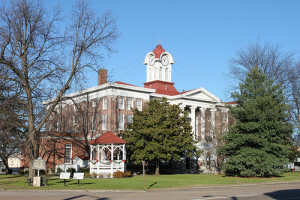 Our office is located at 148 East College Ave on the North East corner of the historic Square. We follow the Main Street Four Point Approach with Design, Economic Restructuring, Organization and Promotion Committees. These committees are designed to build up, improve and revitalize our community. We have added two additional committees, the Membership/Volunteer Committee and Fundraising Committee to build and strengthen our Main Street Chamber. As we look back on our history, We congratulate and thank our Board and the many volunteers who have worked diligently to bring about some wonderful changes in our organization and our community. Copyright © 2019 Holly Springs Main Street Chamber. Designed by Mississippi State University Extension Service.